There is something intriguing about stone walls, and there is something special about a little girl’s smile. I’ve always wanted to know what the combination of those two interesting thing would be. I don’t know about you guys, but I find her sad smile very lovely. What I drew here of her smile seriously pales in comparison. Still, I hope my inadequate quick strokes manage to capture the likeness of her soul. 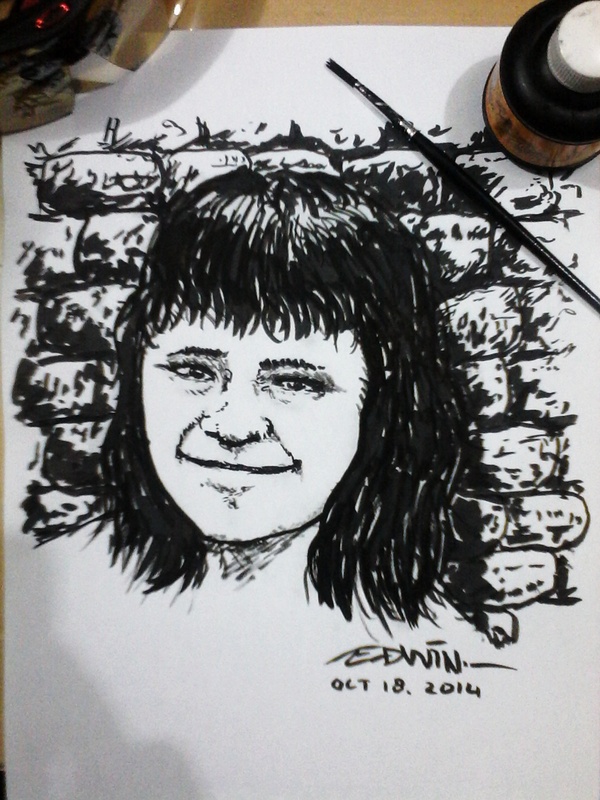 ~ by edwinlives4ever on October 18, 2014.
sepertinya lagi seneng gambar wajah nih. Yes, i think so… sad smile.